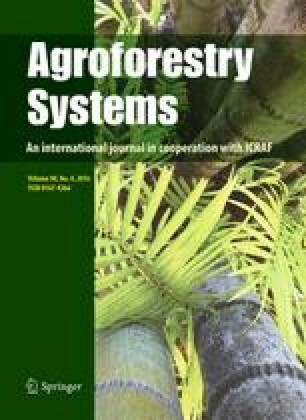 This study evaluates the efficacy of Improved Forest Management for Sustainable Livelihoods Program in communities adjacent to Mua-Livulezi Forest Reserve, Malawi. The program is specifically aimed at alleviating poverty and enhance rural livelihoods through promoting greater community involvement in forest management while providing access and associated benefits. The study therefore evaluated the effect of the program on community organisation, forest access, forest use, product availability and commercialisation of forest products. The results show that despite the program putting in place strategies for the people to access different products for different uses; forest use is restricted mainly to subsistence use rather than cash income. The main forest product collected by the people for livelihood was firewood, mainly for cooking and heating. This is an indication that forests are an important natural capital for subsistence rather than cash income. Gender, location of the village, and distance to the nearest forest area were significant predictors of households’ forest use. Introduction of the co-management program has not brought out the expected outcomes in areas of community organization, forest access, forest product availability and commercialisation of forest products. A multi-institutional approach is recommended to draw upon diverse talents and experiences from individual institutions both government and non-governmental in order to achieve meaningful social change. Acknowledgment to the University of Pretoria for provision of the Postgraduate bursary to the first author which enabled her to undertook this study. Field work for this research was supported by World Wide Fund for Nature through the Russell E. Train Education for Nature (EFN) Program (Grant no. RF19). Thanks to the community members sampled in Mua and Mtakataka for their contribution in this study. Appreciation also goes to the Diploma in Forestry class at Malawi College of Forestry and Wildlife (DCT23) and to the District Forestry staff at Dedza boma and Mtakataka EPA for all the support in the data collection.